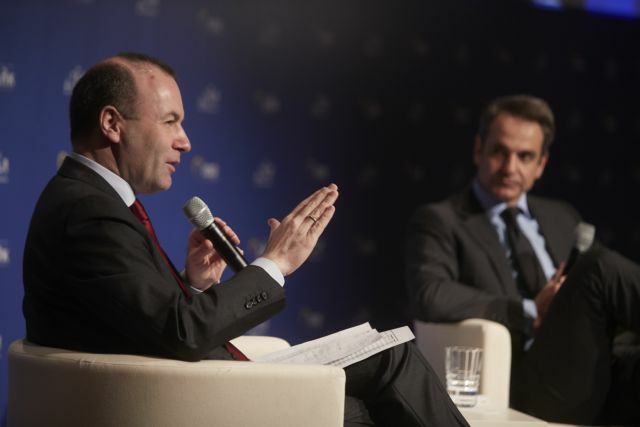 The EPP's Manfred Weber in Athens lionised main opposition New Democracy leader Kyriakos Mitsotakis and indirectly but clearly dismissed Prime Minister Alexis Tsipras as a populist who cannot bring growth. “In Greece with my friend @kmitsotakis of @neadimokratia to discuss our common economic challenges. Populists on the left and right don't create jobs, they destroy them. We have a plan for investment and innovation that will give people perspective again,” Weber said in a tweet that clearly referred to the Greek PM.